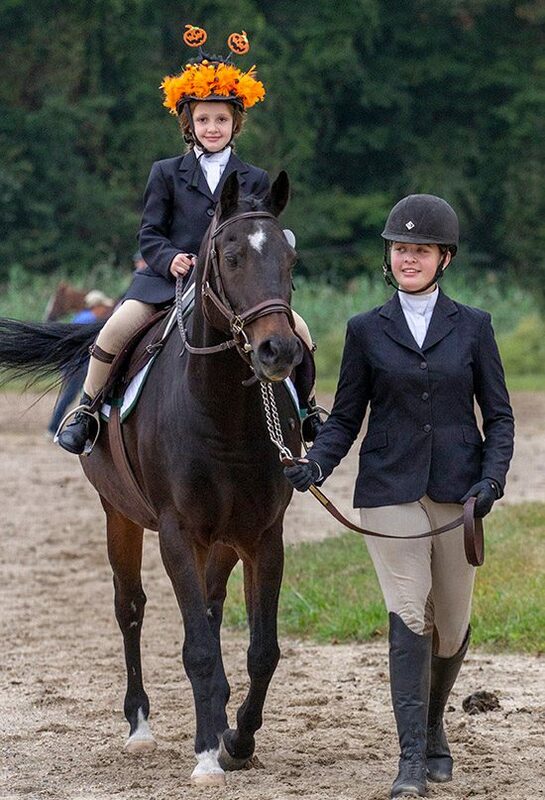 Walk & Walk/Trot Lead Line Classes are open to riders 8 & under who have never competed in any riding class other than Lead Line. May show Traditional or Western Dressage. Riders are required to direct their own mouths. Handler's interference will be penalized. Diagonals will not count. A halter under or over the bridle is mandatory. Handler must be 14 years or older and dressed in neat, appropriate attire. Side walkers are allowed without penalty for exhibitors 3 years or under. Grab straps are permitted, but usage is subject to penalty at the discretion of the judge. Walk and Walk/Trot Lead Line Dressage Tests can be found Here.